With Spring finally here and Summer just around the corner, every new season brings new fashion. We’ve all succumbed to that “look of the moment”… only to find our fashion is quickly replaced by a new fashion trend. 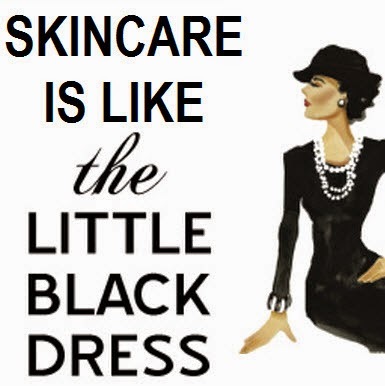 Except for the true classics found in every woman's closet - the classic little black dress. What most of us don’t realize is, the same can be said about skincare. When it comes to creating lasting, natural-looking, real results, the best solutions don't come from the latest skincare fad, but from clinically proven, time-tested ingredients with scientific discoveries that truly deliver. Rodan + Fields skincare is clinically proven and developed by world renowned Dermatologists Dr. Katie Rodan and Dr. Kathy Fields (makers of Proactiv - the most famous acne skincare regimen on the planet). Here is the regimen I recommend that is clinically proven and like your little black dress will remain classic. The REDEFINE regimen is a comprehensive skincare regimen that layers cosmetic ingredients and proven peptide technology to help defend against and reduce the visible signs of aging for noticeably firmer, smoother, flawless-looking skin. I also like to combine this regimen by using the Macro-Exfoliator once a week. This hand-held, personal use exfoliation tool sweeps away dead skin cells leaving behind a smoother, healthier-looking and more luminous complexion. It features technology, developed and programmed by Dr. Katie Rodan and Dr. Kathy Fields, to vary the degree and duration of macro-exfoliation based on facial area. It's clinically proven to visibly improve skin texture after only one use. Avoid the latest fads and stick with classic products like Rodan + Fields that have clinically-proven results and success stories with real-world “before and after” examples. While the “look of the moment” is here today, your best fashion accessory - your skin - needs to last for a lifetime. Rodan + Fields is coming to Canada in August 2014. If you would like more information about products or the business opportunity send me a personal message at sueandpaul.rfcanada@gmail.com.